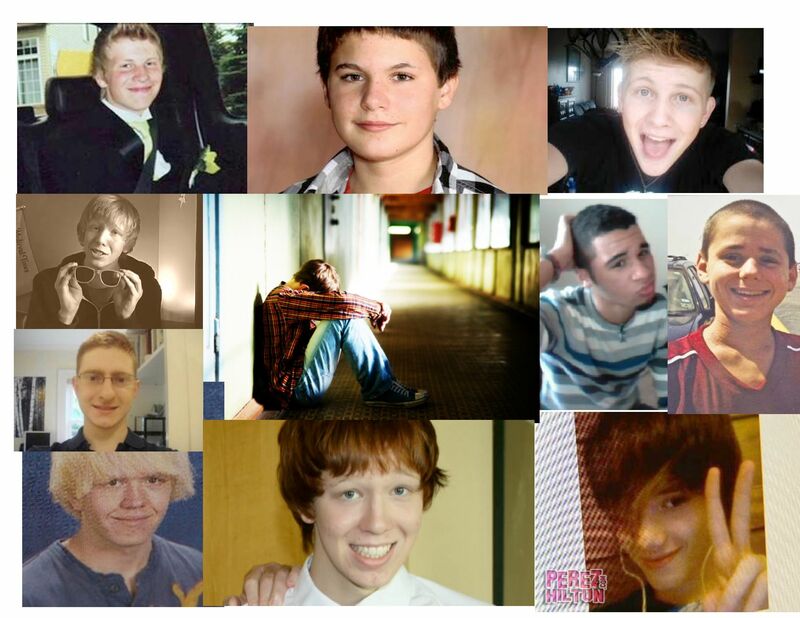 A few of the beautiful kids we've lost to bullying, fear and loneliness in the last 18 months. Since I started writing an online column a couple of years ago, I’ve become sensitized to the disturbing number of LGBT teens who take their own lives after years of physical and emotional abuse by family members and their peers. The good news is that there are now a number of organizations that are doing amazing things to encourage LGBT teens to hang in there through the tough years: Wipeout Homophobia on Facebook; It Gets Better; The Trevor Project; Matthew Shepard Foundation; Suicide Prevention Resource Center and numerous local organizations and agencies. Countless artists, athletes and politicians have made “It Gets Better” videos that are available on You Tube and other sites. Many local groups, like the Kaleidoscope Youth Center here in Columbus, OH where I am a volunteer, are doing what they can to provide LGBT kids with places to hang-out and role models to look up to and lean on. The bad news is, LGBT teens are still being crapped on by crappy people; too many LGBT kids are still resorting to suicide. LGBT adolescent suicide has become so common in our society that much of the time the media is not bothering to report these tragedies. Kids are hurting out there! Some kids are still living in terror of their peers and family members because of personality traits that make them act or appear to be “different.” Many, are terrified of sexual desires they have been told are abnormal and sinful. BUT CHILDREN AREN’T SUPPOSED TO DIE! It’s tragedy when a child dies from disease or an accident. Loneliness, fear and depression are causes that WE, YOU, I can make a decisive difference with. Parents, friends, teachers, clergy, decent friends and neighbors need to reach out to any all kids who appear to be lonely, scared, anxious and depressed. LOVE is the one resource in this world that God made sure that we would never, ever run out of. Please share this amazing video created by a group of British artists with friends and family. Please, reach out to a young person who may need a friend -of any age, gender or sexual orientation. Let’s put end to the needless epidemic of LGBT teens giving up on life. The only requirement needed to be soldier in this worthy cause is a loving, caring, human heart. Georgey, Sofia and the rest of L-Project are amazing. And there are many of us who have come out of the wood work to try and make a difference because of their amazing work! – I am one of them – a spoken word artist. Anyway, I am so glad you are as well! Keep loving and keep striving – we will make a difference! I know it.